I have been asked if I would look at tarot for this little boy. I am still working on this case but give the elements that have shown themselves so far. Please understand that tarot gives a lot of information past present and future and often it is a puzzle to slot all the pieces into place. I will write further on this case shortly. Asking where this baby is I get the Nine of Cups. This is often known as the Wish card, but of course that does,nt relate to my question on this matter. The last time this card came up regarding whereabouts it was the KITCHEN where all the cups or dishes are kept such as those on the table behind the person who sits with their arms crossed. The feeling of the person just sitting there is really quite indignant, they dont look very bothered about anything so it seems like the environment is peaceful as I ask this question. This card is linked to the Moon and the Moon can mean 'passed over' but alternatively can give us a situation that shows a lot of illusions and fibs too. We do have to be careful. However, the main theme I would pick out here is the cups and water and I see that this child must be somewhere near a place where there is running water because cups can be filled and there are many of them in the picture. The Blue cloth on the table shows that something is hidden there or that we dont know everything about that room or place. The directions we have on this card is WEST. This is also known for Motherhood and she does know where the child is which seems to be the case in the report above. The mother in this card is like the 'cat who ate the canary' so its a bit of a smug feeling Im getting that she knows something others dont and of course she is refusing to tell. Its all very apparent and fits very well with what is being said. However she is also 'rubbing someones nose in it' which makes me wonder whether she did make things up and whether the Moon side of this card is actually the 'illusion' she is perpetrating. I dont see any baby actually wrapped up even though the cloth is 'hiding something' but that is what the lady is telling us and being very adamant about that. However, I'm not so sure right now. She feels she has completed a situation satisfactorily and has created this situation to upset the applecart and keep people guessing. The nine of cups can be anywhere that 'dishes' or Kitchen utensils may be found. Jupiter in Pisces is linked to this card which is an 'expansion' broad view here, so you have to look at a slightly bigger picture then what the lady is saying. Pisces is often attached to MUSIC so could be a music name attached to this place or again and remember that Jupiter is a lucky sign supposedly so I don't know who would be lucky out of this, seems a very odd way of describing things. Please note that there is a wooden bench in this card also and we have to think about the colour Yellow. I do somehow see this child in a 'domestic situation. There may be a '9 day period' on this card but I cannot quite say what that would refer to. There is also the 'idea' of an 'assured future' on this card which may not mean negative things regarding this baby. Ive re asked the tarot where Elizabeth left this baby and I have a picture of a 'home' so I do seem to think that must be right? Its not beyond the imagination to suggest this card could represent a hotel - if the baby is not inside a building it is outside in the grounds. I imagine however that areas that are linked to the mother have been searched. Is there a bracelet on this child? I do see one being worn by someone. I also have SOUTH on this card. Offside, I see the baby being linked with travel through the knight of wands but I also see someone with red hair. I seem to get someone who if they found a child would definitely take it home with them. Im not saying this has occurred but the Knight of wands reversed is a negative customer who is not likely to own up to much, they tend to appear and disappear at an alarming rate. Tarot seems to be telling us about some kind of relationship it might be between Elizabeth and someone at work, or someone who works 'outside' but it seems there is a disgruntled feeling here so I guess the two fell out? I don't know who the other person is exactly only that it seems to me that there was a period of weeks where they were not hitting it off. Someone here is pretty much pushy and aggressive and the whole relationship did,nt seem to be heading anywhere. Im wondering if Elizabeth had a man on the scene? whether he also might know where this child is? I'm sure it will all be checked out just in case. I seem to feel that perhaps Elizabeth was looking for some kind of fresh start somehow? I think she was in a negative relationship whether it was her fault or the person in her life? its just that I seem to see work attached for some reason and a whole change of location and environment. Tarot is picking up all different things here likely parts of the story already in print, but I do see this lady possibly meeting someone in an open space - 'meadow' for example and some 'separation' taking place. I really think of the place as slightly remote but I might have that wrong. I just see that this lady has a volatile relationship with someone and needed to get away to start again. I see there is a possible soldier or military connection here also. I did see the child with the nine of cups but perhaps the feeling was the home given to me via the picture of the baby - and may not be the right place of location but would apply with that photograph. Hope you can follow me here. Regarding the Four of wands, I see that as a building with gardens surrounding it or somewhere that is OUTSIDE of the building. The Four Garlands are supposed to give us some indication but unfortunately I am not familiar with where this child went missing to be able to stab a guess at location names. I would think that a different approach needs to be taken with Elizabeth as locking her up is not the way to deal with this lady. She needs some counseling and guidance - she was not able to cope with a certain situation and I think either she retaliated or perhaps she did instigate a situation to make someone jealous. Its very possible. Looking for the health of this child I am not quite sure yet whether this little baby is alive, the Knight of Wands can be a very brusque card and sometimes not the most friendly as reversed it is an 'inaction card'. I seem to have some indication which is confusing but I dont know if Elizabeth has done this to 'win a man' because there is some kind of loveless union around her and perhaps her plans have backfired. I will need to work more on this situation as there is rather a lot of mixed elements with these cards this evening. I will check back on this. So looking once more at a photograph of both Elizabeth and her child I asked what she might have done with the baby Gabriel. I received the Hanged man in Reverse. Its not the greatest card to help me, but it does suggest that Elizabeth whose face burns through this card was not prepared to listen to anyone elses viewpoints. She sees what she has done as a selfless act but in its own way it is really selfish because it does not consider anybody else. However, there is a true stubbornness on this card and this is more than tricky. The hanged man does have water in the picture and this child could be near a river or may have been near a river at some point because even reversed it shows that it has come into the picture. I did ask what Elizabeth had DONE with Gabriel so I have to put the card in this way. However, it also points out her own feelings about things as water is emotion too. There is a number 12 on this card and that is what I would describe as a YEAR - I am wondering if Elizabeth is going to begin to co operate about this case very soon or not because there is untrustworthiness on this matter. Whether she trusts the authorities to tell them the truth or whether they feel they can trust that she IS telling the truth is very much the question. The whole matter has been in suspension but when it is reversed showsn an unlocking of attitudes that is why I wonder if something may soon come out and some truth may unfold - it is possible. The hanged man comes BEFORE death in the Major arcana and beore that is JUSTICE. So clearly Elizabeth wanted to give her version of what Justice might be in her mind or she did what she thought was right. If Justice is reversed it can often suggest that people are in prison when they should,nt be and that someone else is responsible for something as the guiilty person seems to go free. So I will just point this out. The hanged man comes next and then death - so we are at the point of the hanged man when we ask the tarot about the baby and Elizabeth. If you look at the hanged man from another pictorial prospective you can see someone being held upside down in water - but then you can see that I pulled a reversed card which would upright the situation and pull the person out of the water. Now this could mean two things, one that emotionally Elizabeth was overwhelmed or two that this baby may have been put in water then retrieved. The hanged man is also for September months with an arm outstretched to balance the situation - I just seem to think that there have been many rows and upsets around Gabriel and all this has been going on around him perhaps for some time. Generally when this card is the right way up it shows that the person has reached 'spiritual attainment' which would suggest that Baby Gabriel could have passed on - but it is reversed and we have not yet met the Death card in the Major Arcana. It may just all come down to what Elizabeth has told the police and I accept that and the fact that tarot is just telling us all that again but I have pressed tarot to try to narrow this down for me. Someone has a drink or drug problem when this card is reversed I did see all sorts of things around this baby and there have truly been some terrible quarrels around this child and I hate saying it possible some forms of neglect for whatever reason they present themselves. I dont think Elizabeth could feel her bond with Gabriel was unthreatened because there was someone standing in the way of that as far as she was concerned and until she could get that person out of her life she probably knew that the baby would always come into question. The baby in the hanged man would show Neptune which is water as mentioned before but that is upright and there is a tree in the picture. I still see the baby outside but that is just what tarot is giving to me and that does,nt make me right its just how it comes across to me at the point of reading. Im not sure how 'TREE' would be interpreted if I was honest here, because this can be very ambiguous. I do see very deep regrets in this card concerning Elizabeth, she may seem crazy to people but she does have feelings. One thing I can say about Gabriel is that he feels no pain.Incidently you will note that the death card which comes after is card 13 it could be the 'next step' that is discovered in the situation of Gabriel, but this has not yet arrived at the point of looking. . However, I write what I find and as with all cases that's all I can do. The best scenario here is that Elizabeth has put her baby in a protective environment and said spiteful things to get back at someone but all the while protecting Gabriel who she could not have what she felt was a relationship - this is truly a crime of passion and Im wondering if Elizabeth will be classified as someone with 'diminished responsibility' as she has been emotionally 'done in' with no turning back. The boy's mother, Elizabeth Johnson, 25, has a September trial date on charges of kidnapping, child abuse, custodial interference and conspiracy to commit custodial interference. Baby Gabriel's father turns self in, Baby Gabriel's father was sentenced to probation Monday. Tammi Smith was alternately described as an obsessed, desperate and scheming woman who would stop at nothing to adopt Baby Gabriel, and as a kind-hearted mother and business owner victimized by authorities. As Smith's trial began Tuesday in Maricopa County Superior Court on charges connected to Baby Gabriel's 2009 disappearance, the prosecution and defense laid out their cases to the 10-person jury. Smith, 40, of Scottsdale, is charged with forgery and conspiracy to commit custodial interference with Gabriel's mother, Elizabeth Johnson. Johnson, 25, of Tempe. Johnson is held without bond on charges of kidnapping, child abuse, custodial interference and conspiracy to commit custodial interference. She awaits a September court date. The lives of Gabriel and his estranged parents "were forever altered by the selfishness of Tammi Smith," said Deputy Maricopa County Attorney Alisa Ramunno. To Smith, Gabriel "was a thing to be desired, a prize, an object," said Ramunno. "She would go to any length to get it." Smith approached Johnson at an airport and offered to adopt Gabriel, just as she approached another woman in line at a Jack in the Box and offered to adopt her child, Ramunno said. But it wasn't until Gabriel's father, Logan McQueary, 27, moved out from a "tumultous" relationship with Johnson that that she decided to get even by giving her baby to Tammi Smith, Ramunno said. To Johnson, Gabriel "was a pawn, a way to get back at Logan McQueary," Ramunno said. The prosecution will attempt to prove that Smith concocted scheme after scheme and broke laws in her efforts to adopt Gabriel, Ramunno said. Smith's interference in the lives of the baby and his estranged parents, "was a combination that resulted in disaster." Smith's attorney, Anne Phillips, painted a sympathetic picture, one of a hard working small business owner who had recently adopted her husband's granddaughter and was looking for a sibling to add to the family. She noted that nobody knows what happened to the child. "Where is Baby Gabriel?" Phillips said. "This trial is not about Baby Gabriel at all. It is about the character assassination of Tammi Smith." The FBI and the Tempe Police Department conducted "a relentless attack" on the law-abiding Smith because she had met Elizabeth Johnson," Ramuno said. She was not obsessed, not "pining away" for Gabriel, Phillips said. "It wasn't about obsession," Phillips said. "It was to adopt a sibling for young Hannah." Johnson had complained she was afraid of McQueary, who has a criminal record of theft and burglary, and also that she wasn't even sure he was the father, Phillips said. Smith didn't know Johnson wanted to flee to Texas with Gabriel, Phillips said. Smith, the attorney said, "was only trying to bring Baby Gabriel back." She endured midnight searches by police and their scrutiny of her property, phone and computer records, "a complete invasion of her life," Phillips said. "She did nothing wrong," Phillips told the jury. "All she wanted was to bring Gabriel home." Gabriel's father, Logan McQueary, 27, was expected to take the stand Tuesday afternoon. Smith will also take the stand when the defense presents its case. Opening arguments begin in the trial of Tammi Smith, seated with one of her attorneys Michael Lee and Anne Phillips at the South Court Tower in the Central Court Building in downtown Phoenix. JUNE 19, 2012: Tammi Smith Eligible for Probation in Baby Gabriel Case. Sentencing Scheduled July 6. More about the trial on above link. 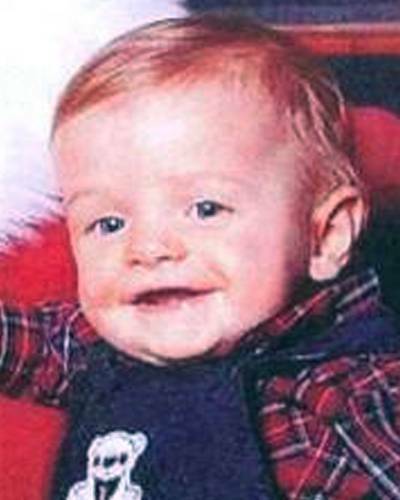 19 Apr 2016 - An update to the mysterious disappearance of "Baby Gabriel," a little boy ... Elizabeth Johnson and Logan McQueary were a golden couple. Thanks so much for this. The case is very confusing and nobody seems to know where to turn. There is a huge community supporting this little boy and his family. We all appreciate your insights as well as any future help on the matter. 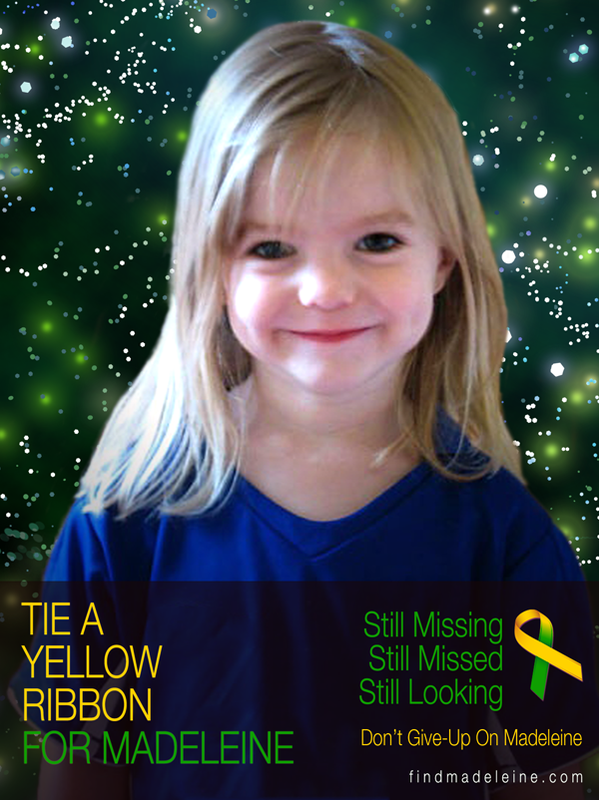 The case is not receiving much publicity anymore and is almost being forgotten by law enforcement at this time. You are welcome, only time will tell if tarot has been useful regarding Gabriel or not. Meanwhile I perfectly agree with you that this case is not receiving much publicity and actually I have a few others cases here that really surprise me that so little is written about them. I really dont understand that either. is there any new information you have impressions on with baby gabriel...i have been following this since he went missing...it breaks my heart, i believe he is still alive and being hidden. I have not posted any new information at the current time but will look again shortly. the hotel they were last seen is surrounded by 4 gardens type places within 3 miles with the hotel in the middle. that hotel is used by some adoption agencys.texas family law abandonment by the father 6 mos some notirized paperwork and she could have a legal adoption. Just a possablity. hope child is found and returned soon. Wow that is interesting information. Thank you for posting. I was hoping that you could do an update for baby Gabriel. His mother has been in the news again recently and still is not talking. Yes I will have a look to see if there is anymore to add. Just wondering if you came up with more for this little guy? It is coming up on 4 years since Gabriel was kidnapped by his mother. Do you see anything new for him? Thank you.